Prime Minister The Honourable Allen Michael Chastanet was elected as the Parliamentary Representative for Micoud South and the Prime Minister of Saint Lucia on June 6th 2016. He also serves as Saint Lucia’s Minister for Finance, Economic Growth, Job Creation, External Affairs and the Public Service. 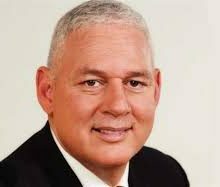 Allen Chastanet holds a Bachelor of Arts Degree in Economics with a minor in Political Science as well as a Master’s Degree in Development Banking from Bishop’s University in Quebec and American University in Washington D.C. respectively. He has previously served as Saint Lucia’s Minister with responsibility for Tourism and Aviation and Chairman of the Caribbean Tourism Organization (CTO). Before he became Prime Minister he served as the Managing Director of Coco Resorts and has had significant experience in the field of tourism having also served as Saint Lucia’s Director Tourism and a former President of the Saint Lucia Hotel and Tourism Association. In 2007 Allen M. Chastanet was the recipient of Counterpart International’s “World Leadership Award” and in 2009 he was named Travel Agent Magazine’s “Caribbean Travel Personality of the Year”. He also previously served as Vice President of Sales and Marketing at Windjammer Landing and Air Jamaica’s Vice President Sales and Marketing, Worldwide. Allen Chastanet has been instrumental in a number of charitable and nonprofit organizations. He was instrumental in the launching of Air Jamaica’s Lovebird Kids’ Club as well as the Caribbean Media Exchange (CMEx), the region’s premier non-profit forum for the examination and design of sustainable tourism as a community development tool.